Wanted to share one of my configurations for stereo field recordings. 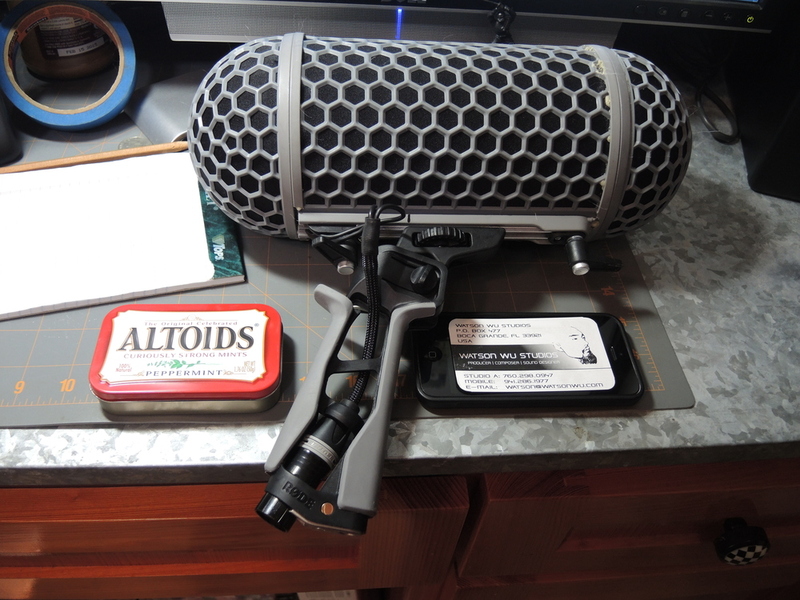 Inside my customized Rode Mini-Me Blimp is a Rycote Stereo X/Y Mount Cage. Attached to the Rycote clips is a matched pair of tiny CM3 mics from Line Audio in Sweden. Another customization is the Y cable made by Scott Beatty of TwinAudioCables.com near Atlanta, Georgia. Scott did a Great job making me low profile angled XLR cables for the mics and a 5 pin stereo XLR for the blimp's grip. When I'm not recording, I can easily detach the 5 pin XLR cable for convenient traveling. Why did I do this? With so much gear I often have to carry, I wanted a very Very portable solution. Watson Wu's Rode Mini-Me Blmp (stereo configuration). Inside this stereo configuration is a Rycote Stereo X/Y Mount Cage with Line Audio CM3 mics. The Y cable is a blessing as I can fold And unfold the grip! Top View. As you can see, 8 rubber bands are needed to properly suspend the cage. The rubber bands are actually thin rubber gaskets made for cars. Back View. The low profile angled XLR cables are necessary for everything to properly fit inside the Mini-Me Blimp. 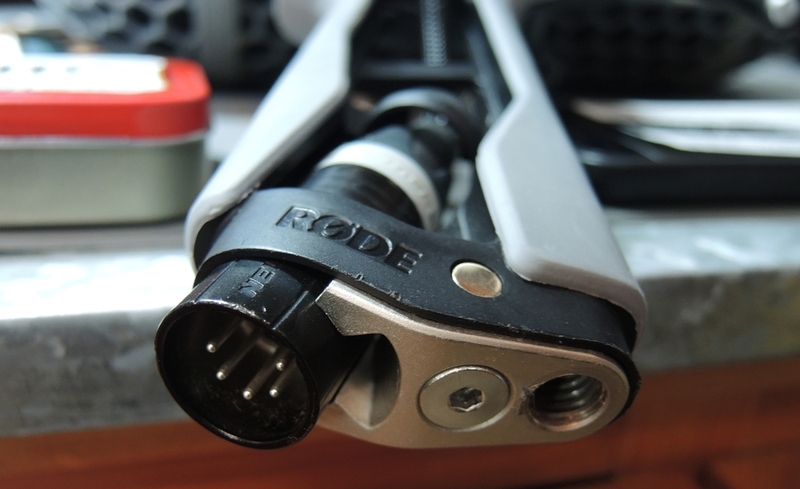 TwinAudioCable.com's 5 pin stereo XLR cable inside grip by Rode. More shots of the custom cables from TwinAudioCables.com. The length for this bottom cable is about 5 feet, just enough so that it doesn't touch the ground when I'm recording. A tool belt hook like this Husky brand is great for carrying blimps, cables, and small recorders. Rode Mini-Me Blimp & Tascam DR-40 recorder hanging on the Husky hook. CLICK HERE TO LEARN HOW TO HACK YOUR OWN MINI-ME RODE BLIMP!